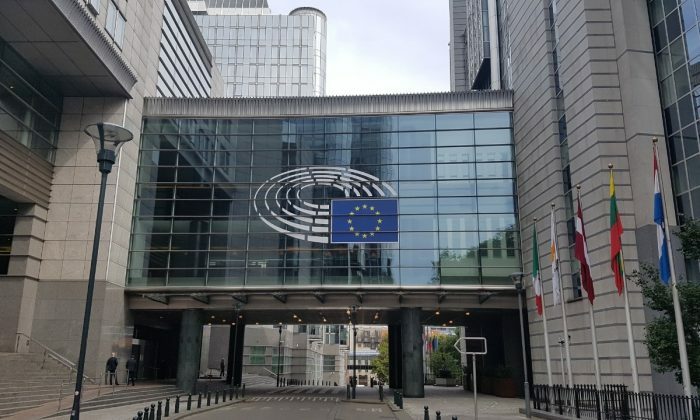 BRUSSELS—Although there has been the controversy over bubbles and fraud, the new technology called block chain and the cryptocurrency are increasingly being accepted as the stream of time in which people cannot go against by many in the society. In some cases, it is also true that many people acknowledge the new technology called block chain but view the cryptocurrency in a negative way that it has no value. However, cryptocurrency is gradually trying to settle down in the existing financial system. The IMF recently submitted a positive report on cryptocurrency and the New York Stock Exchange announced that it is reviewing the cryptocurrency trading platform positively. Wall Street, including Goldman Sachs, is getting ready to jump into the cryptocurrency market in full scale. Of course, it is too early to conclude on the future of cryptocurrency. Despite the warnings that have been going on for years on the risk about bubbles and fraud, the recent cryptocurrency markets have shown remarkable strength, and internationally, the cryptocurrency frenzy has yet to show signs of diminishing. Despite the warnings that have been going on for years on the risk about bubbles and fraud, the recent cryptocurrency markets have shown remarkable strength. On the other hand, it seems that the market for investment funds of the cryptocurrency companies called ICO (Initial Coin Offering), in comparison with IPO (Initial Public Offering) meaning the public disclosure of the stock market, is in very serious condition. Statistics show that the number of ICO held was only seven in 2015 globally, but it is exponentially increased to an average of 3.6 per month in 2016, an average of 28.6 per month in 2017, and an average of 50.5 per month in 2018. The number of funds raised through the ICO has already exceeded the astronomical amount, but there is no minimum equipment to regulate and supervise the market. In order to stabilize and develop the cryptocurrency market, it is imperative to bring the ICO market into the system. It is because the current ICO method that discloses only the information about the company and collects investment money through crowd-funding by taking advantage of the frenzy of cryptocurrency is exposed to the risk of scams impersonating ICO or the companies that jump into the market indiscriminately for the purpose of raising money. The cryptocurrency market will stabilize and develop when there is a system that selects companies with proven ideas and technologies and establishes a market base for investors to participate in ICO based on objectively evaluated and reliable information. The cryptocurrency market will stabilize and develop when there is a system that selects companies with proven ideas and technologies. In February, the Financial Market Supervisory Authority (FINMA) of Switzerland issued its ICO guidelines, which made a positive contribution to the cryptocurrency market, but the effectiveness was insufficient. This is because the influence of one country’s announcement of a guideline on the global ICO market is unlikely to be exercised. Furthermore, a closer look on the contents of the ICO Guidelines of FINMA of Switzerland reveals a limited and passive application of the existing financial market regulation rather than a new regulation on ICO. Thus, the controversy over the effectiveness of the announcement is getting more and more widespread. On the other hand, the ICO certification system announced by the European Electronic Money Supervisory Commission (EMSCOMM) in May has already attracted a lot of attention to the cryptocurrency market as well as the various institutions in the world. EMSCOMM’s ICO certification system not only merely selects and certifies outstanding companies, but even after ICO, senior members of EMSCOMM, composed of scholars with the highest authority on cryptocurrency, are listed as advisors for each certified company. Since it is conducted in such a way that it supervises and supports the whole process of the project, it is expected that it will have a great effect on the market. According to the EMSCOMM official, despite the announcement of the implementation in April, many excellent companies from all over the world submitted applications for certification already, and document screening process is almost over. Soon the companies passed under the EMSCOMM’s document screening criteria will be called for a visit and a certificate will be issued to the final selected companies. Starting in Europe, EMSCOMM will work to foster a healthy and desirable ICO market by working with global authorities. Through the EMSCOMM’s ICO certification system, it is expected to set up a base that the ICO market will be incorporated into the institutional system and contribute to the stability and development of the cryptocurrency market.